Using simple machines, physics, high school activities, and experiments, you can make any physics concept come to life. In order to win a science fair, that's exactly what you want: a project that you can build that demonstrates a concept and makes it easy to understand. Particularly with physics, your goal should be to make what seems impossible to understand, easily understood in layman's terms. Here are a few projects that will help. The goal of a science project is to take a complicated scientific topic and do a project that clearly demonstrates the concept to make it easily understood. This is especially easy to do with physics because physics concepts are often deemed incredibly difficult, but in actuality physics is simply a way to describe the relationship between force and motion. The clearest instructions for actually making a bottle rocket are on Instructables. The instructions have very clear diagrams which make it hard to mess up! 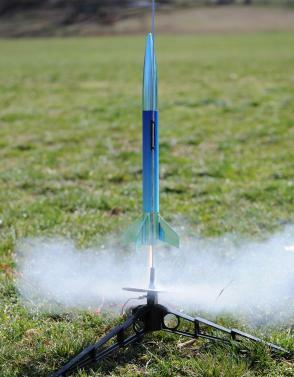 With your bottle rocket, you'll be able to measure the force in PSIs (pound per square inches) and you should be able to measure or estimate the height. If you're not sure how to estimate the height, try measuring a nearby tree in meters and then estimate the height of the rocket based on how high up the tree it goes. You've heard the phrase, "What Goes Up, Must Come Down?" Well in Newtonian language that's translated as: "For every action, there is an equal and opposite reaction." When you conduct your experiments, note the height from where you first drop the pendulum, and the height that it reaches on the other side. You should note that this creates an arc. When you introduce a rod or something to interrupt the pendulum and thus decrease the arc, you'll note that the ball bearing (the end of the pendulum) still goes to the same height--although the radius of the arc is much smaller. Since it still goes to the same height, it is still the same mathematical formula. A mousetrap is actually a good example of a torsion balance. In plain terms, this basically means that something is wound up tightly and when it is released it exerts a certain amount of force (called torque). The torque released is proportional to how tightly the object is wound. In this case, the torque exerted results in propulsion forward. For a video demonstration click here. Use the swing ride to demonstrate centripetal force. Consider what's the difference between centripetal and centrifugal force. Can you build a machine that demonstrates centrifugal force? How does a roller coaster use Newton's first law of motion? What is the relationship between the force of gravity and the acceleration of the roller coaster cars? Can you design your own roller coaster using these principles? How do the gears work together to allow the ferris wheel to move? Using simple and easy to build projects can help anyone understand and explain concepts in physics. Understanding simple machines, physics, high school activities and experiments is child's play if you build the right demonstration projects!